The whole world will be watching. That’s what the trailers and posters for The Hunger Games promises. It proved to be quite an effective marketing hook, because it seems to be right. The film was released this past Friday and took in over $152 million throughout the weekend. Being an adaptation of a bestselling young adult novel with a fanbase that rivals that of Twilight, the odds were ever in its favor. But does it live up to the hype? 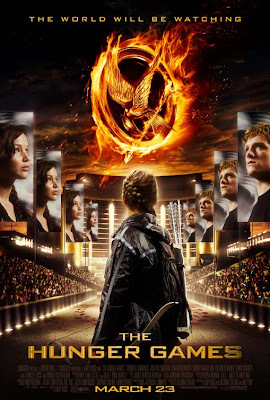 The Hunger Games follows Katniss Everdeen, a rather resourceful teenager from one of the dirty districts of a future U.S. In this future, the government keeps its citizens obedient by requiring each of its twelve districts to offer two teenagers who will fight to the death in a televised event known as The Hunger Games. Why call it the Hunger Games and not the Most Dangerous Game or Mortal Combat or Battle Royale? Because all of those names were already taken, for all we know. The movie doesn’t concern itself with such details. The novel is about a society where teenagers are forced to battle to the death. Fans, both young and old, need not wait any longer as one of the most anticipated film releases of the year dropped last week. 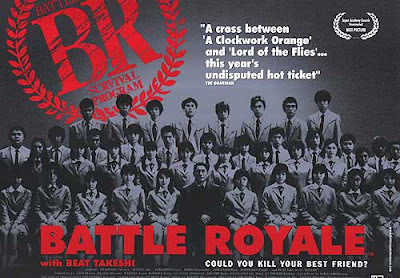 I am, of course, talking about the Blu-ray release of 2000’s Battle Royale.